Axel&apos;s Analysis - Episode 35 "NJPW Wrestle Kingdom 9"
Axel&apos;s Wrestling Analysis - Episode 34 "CJ and Silent Bull"
Axel&apos;s Analysis - Episode 32 "Hiroshi Tanahashi vs Kazuchika Okada"
Axel&apos;s Analysis - Episode 31 "The Vicious Analysis"
Axel&apos;s NXT Analysis - Episode Eleven "Get Yourself Jiggy, Fella!" 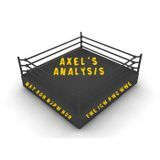 Axel&apos;s Analysis - Episode Ten "They Started Putting His Face on Milk Cartons"
Axel&apos;s Analysis - Episode Nine "Poor Tyler Breeze"
Axel&apos;s Analysis - Episode Eight "Bada Boom!" 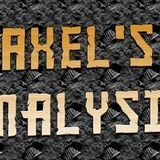 Axel&apos;s Analysis - Episode Seven "Dirty, Filthy, Shower Dodging Get!" I am the man too cheap to make up his own name so I&apos;ve had to steal one, Axel Mulligan. I&apos;m reviewing WWE NXT each week, giving my opinion&apos;s on the action, storyline&apos;s, gossip and news.